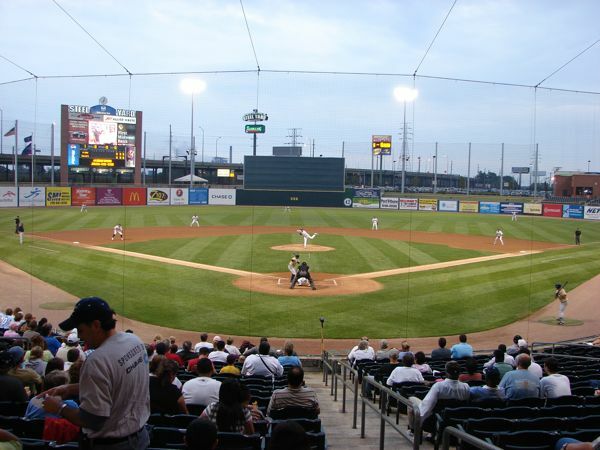 The Gary SouthShore RailCats, a member of the Northern Independent League, play at USS Steel Yard, which was built in 2002 and seats 6,139. 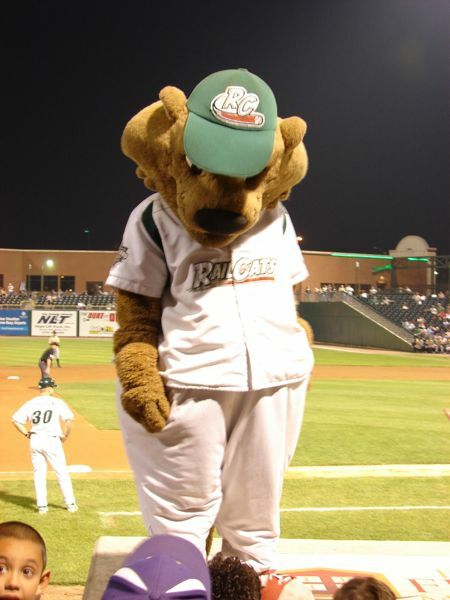 The RailCats were the Northern League 2007 Champions. 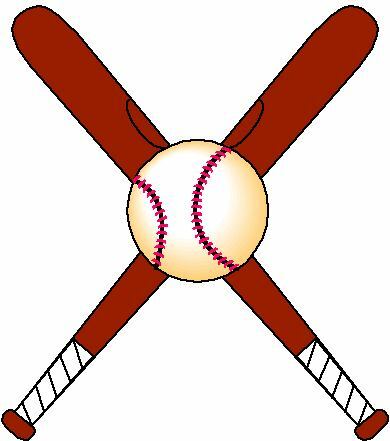 The RailCats were playing the Schaumburg Flyers and were victorious with a score of 15-4. Schaumburg couldn't do anything right. 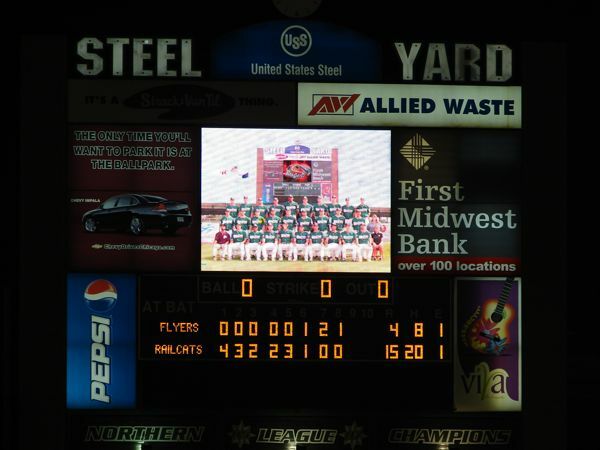 The box score was Flyers R-4, H-8, E-1 and Railcats R-15, H-20, E-1. 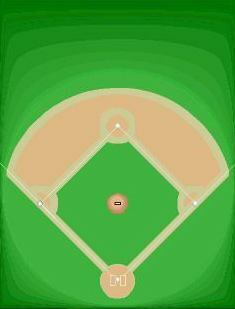 The field lines are RF-325', CF-400', and LF-320'. 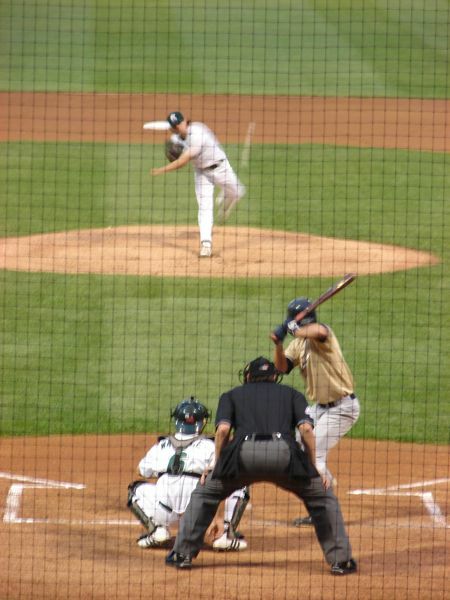 The game was basically a sell-out because for the last three games if you brought the appropriate coupon any seat in the stadium was only $2. 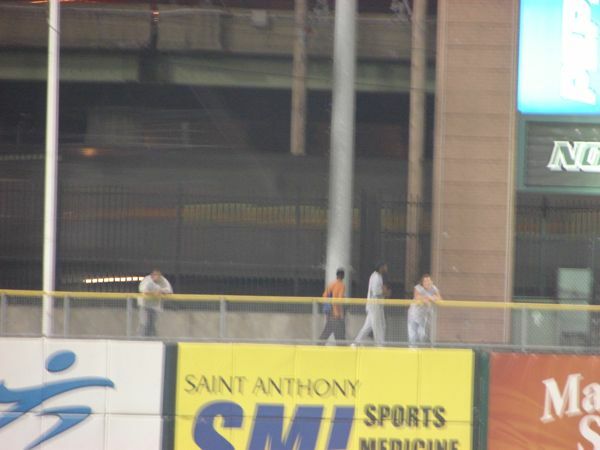 We were able to get seats on the aisle down the 3rd base line. The weather was cloudy with off and on sprinkling rain. When it started raining hard we moved onto the covered concourse and finally into some last row covered seats that were not being used. 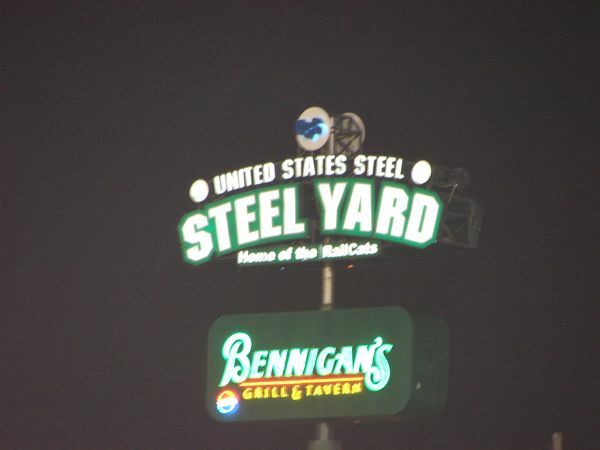 Bennigans still has a restaurant out in right field. 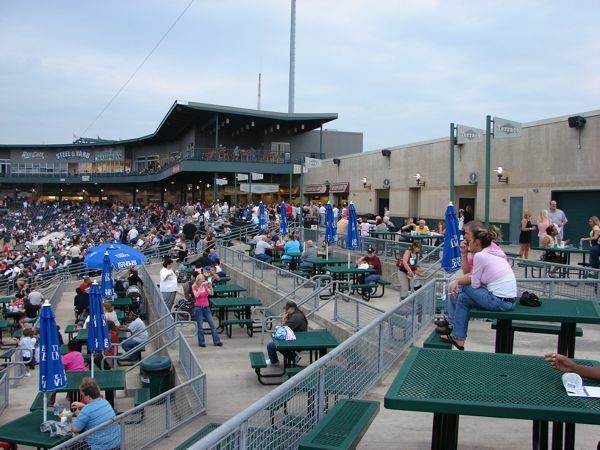 There are 20 suites and two party decks, one at each end of the suites. 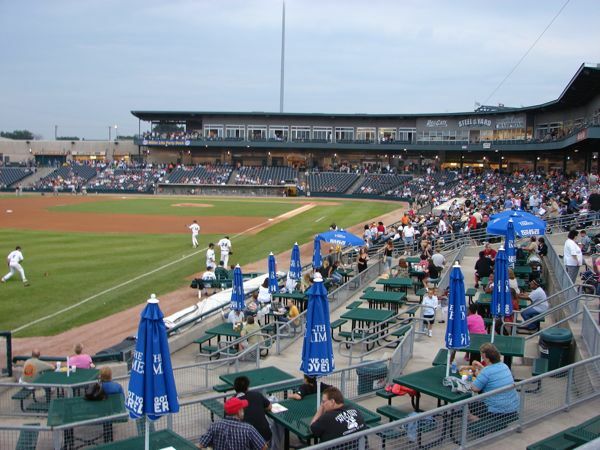 There is a great picnic area of several levels at the end of the third base line. 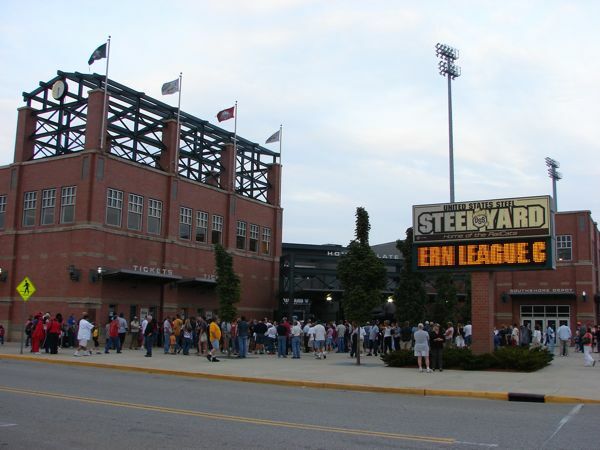 There is a grass berm in right center, but it wasn't being used the night we were at the game. 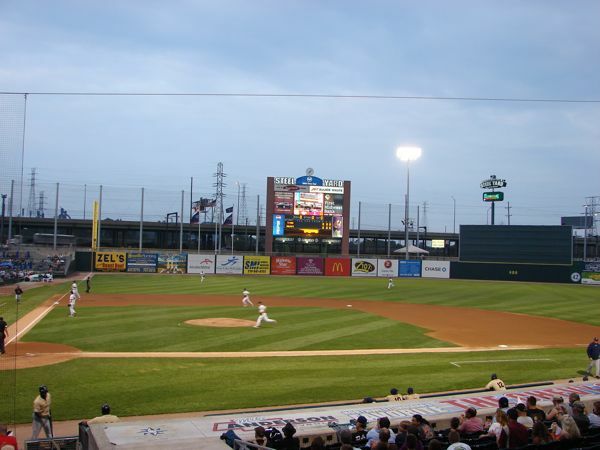 A train whistle and a siren is sounded with each RailCat homerun. 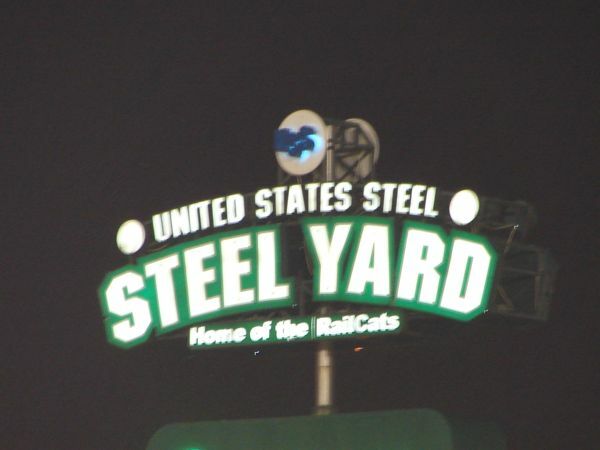 The mascot is Rusty RailCat. 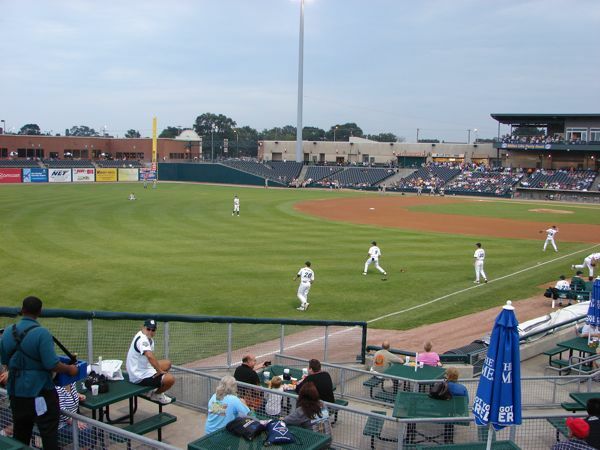 The commuter rail line is just across the street in left field. You can just see the blurred windows of the fast moving train. 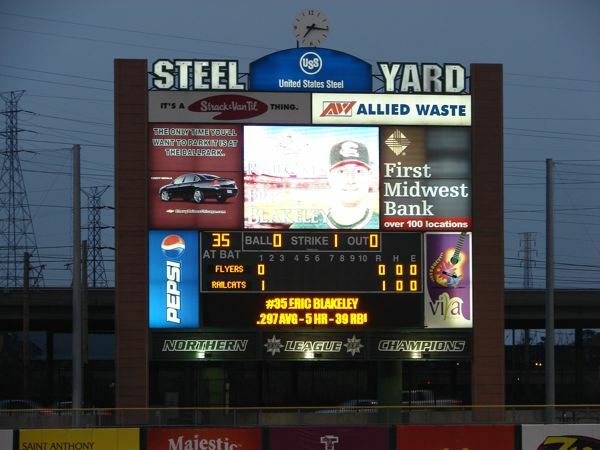 Each time a train goes by the scoreboard indicates Southshore and direction traveling. 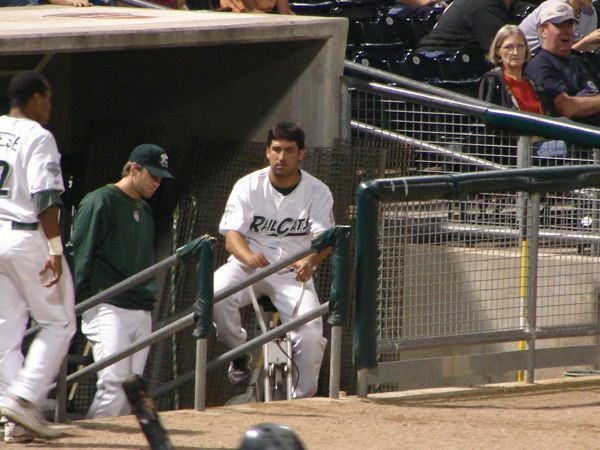 There is an exercise bike in the RailCat's dugout and it was being used by the one of the players near the end of the game. 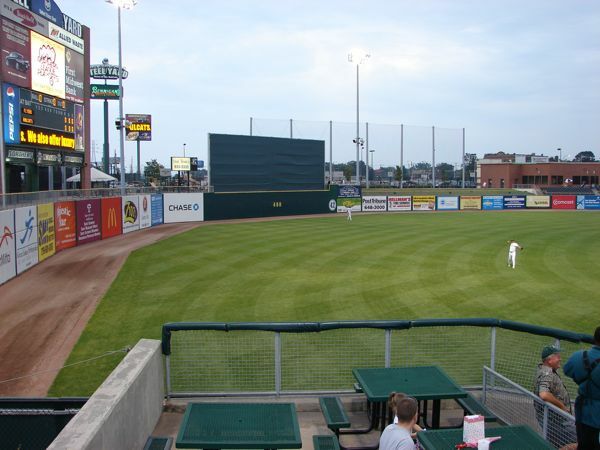 The RailCats are going to play in the post-season again this year. 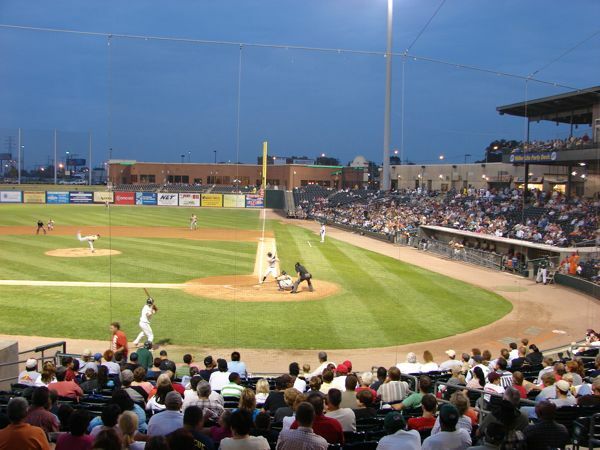 2011 team moves to the American Association of Independent Baseball when Northern League folds. Indiana Dunes National Seashore Park to the east.